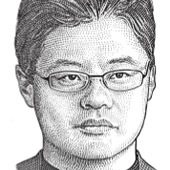 Backers include Relay Ventures, Yahoo co-founder Jerry Yang and Zappos founder Tony Hseih. Zendrive, a mobile-focused startup aimed at analyzing driver data from motorists, announced on Thursday that it raised $1.5 million in seed funding. Investors in the round include First Round Capital, PayPal co-founder Max Levchin, Yahoo co-founder Jerry Yang, and Tim Ferriss, among others. Polar, an app made for sharing opinions and polling your friends, announced a new funding round of $1.2 million today, and released a new version of the application, now available for download in Apple’s App Store. Investors in the round include Jerry Yang at AME Cloud Ventures (formerly of Yahoo, of course), John Lilly at Greylock Partners, Maynard Webb from Webb Investment Network, Ash Patel at Morado Ventures, Sam Pullara (formerly of Twitter) and others. Today, investors are less interested in transformative companies and more interested in trendy, “quick response” ones. Jerry Yang, who co-founded Yahoo Inc. and resigned last year from the Internet company’s board, has landed a plum position with Chinese computer maker Lenovo Group Ltd. making nearly $200,000 in equity and cash. Very likely, in the near future, I won’t ‘own’ any music, or books, or movies. Instead I will have immediate access to all music, all books, all movies using an always-on service, via a subscription fee or tax.